What level of control algorithm sophistication and complexity do you need, and how much I/O? Who provides the control algorithms and code: the IC vendor, a third party partnering with them, or an unrelated third party? How are they verified and tested for your motor and application? How much user-programmability do you need? Even dedicated, non-programmable controllers allow users to select algorithm type, closed-loop control mode (position, velocity, acceleration) and set operating parameters. Do the motor and application have unique attributes? If so, a programmable IC might be better. What if there are constant requests to modify the algorithm? In this case, a dedicated IC with hard-wired embedded algorithms may be better than a fully programmable IC. Does the controller have to support multiple types of motors? Even if just one type, is it one motor size of that type, or a range of sizes? To what level does the vendor provide technical support? What is their actual, hands-on motor experience? Do they provide detailed reference designs that have been built and tested, including the interface between the control IC and MOSFET drivers? Are there regulatory issues to be aware of, such as mandated efficiency (many motor applications must now meet various “green” standards)? If so, does the vendor understand and meet them, in their components and algorithms? This is not a comprehensive guide, but it should get you started thinking in the right direction. 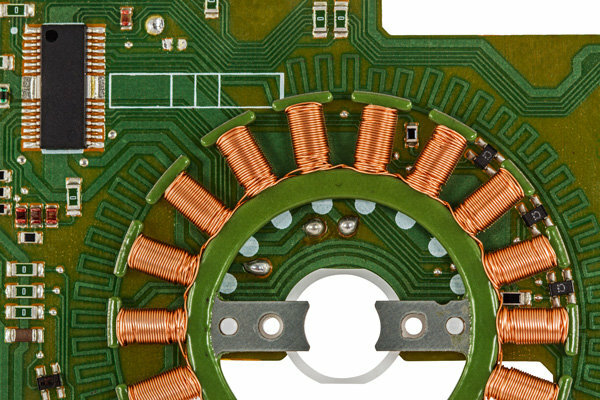 For many engineers, pulling all the parts together – the controller with embedded or separate algorithms, the drivers, and the MOSFETs – is a multidisciplinary task, and one for which they don’t want to “reinvent the wheel.” For this reason, many vendors of motor-control ICs provide evaluation boards and even complete shippable boards that include controller, algorithms, drivers, and MOSFETs. Mouser has thousands of development kits to browse through. Armed with some good food for thought per the above, you have some footwork to do before making critical decisions on which kit you will start with.